Encouraged by the health of the game locally, Simon has succeeded Bob Kerr after serving as vice-chair for the last three years. Fiona Jones, from Market Drayton Tennis Club, is the new vice-chair of Tennis Shropshire. Simon said: “Working with Bob as vice-chair has been a massive help. To have someone of Bob’s experience to learn from has certainly been a great grounding to becoming chair. “I’m looking forward to the challenge for the next three years. “It is an absolute honour. We have 36 clubs across the county and a fantastic group of volunteers willing to give their time up. Together with the people running the clubs, we are very lucky to have such a strong volunteer-led workforce. 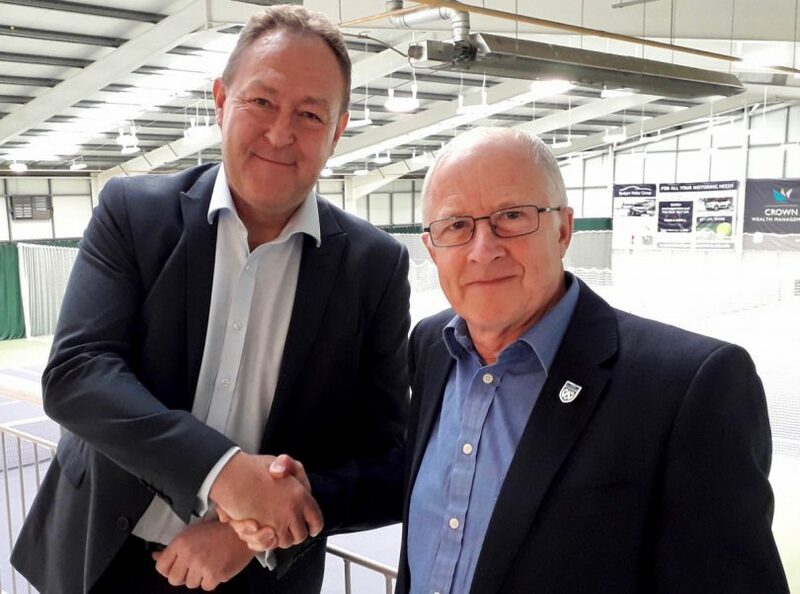 Simon, introduced to the Tennis Shropshire committee six years ago when Chris Hinks was chairman, was then delighted to accept the chance to become vice-chair. Simon started to play tennis at the age of 25 when injury prevented him from continuing as a keen amateur footballer. He was selected to represent the county at tennis after moving to Shropshire in 1997 and currently plays for the county’s over-50s side. Former chair Bob will remain heavily involved with Tennis Shropshire as the LTA councillor for Shropshire.